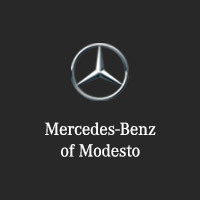 CARFAX 1-Owner, Mercedes-Benz Certified, Superb Condition. JUST REPRICED FROM $41,991. Nav System, Moonroof, Heated Seats, Hitch AND MORE! 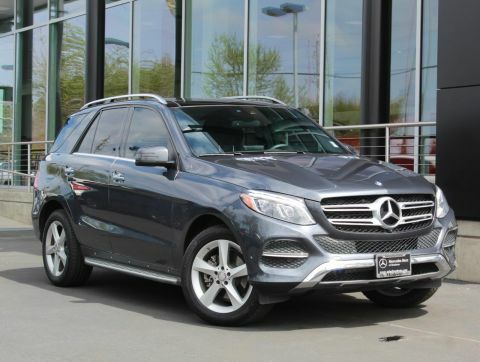 Full-Time 4MATIC All-Wheel Drive, Power Liftgate, Heated Driver Seat, Onboard Communications System, Dual Zone A/C. Rear Spoiler, Flex Fuel, Remote Trunk Release, Privacy Glass, Child Safety Locks. PREMIUM PACKAGE Radio: COMAND System w/Navigation, 8 high resolution LCD screen w/3D map views, enhanced voice control system, 10GB music register, single disc CD/DVD player, Gracenote album information including cover art, SD card slot, SiriusXM traffic and SiriusXM weather w/, 115V AC Power Outlet, Single DVD Player, KEYLESS-GO, SIRIUS XM Satellite Radio, SiriusXM real-time traffic and SiriusXM weather (w/), Navigation Updates For 3 Years, Region Coding, POWER TILT/SLIDING PANORAMA SUNROOF, WHEELS: 20 5-SPOKE Tires: P265/45R20, TRAILER HITCH 7200 lbs Class III towing capacity. 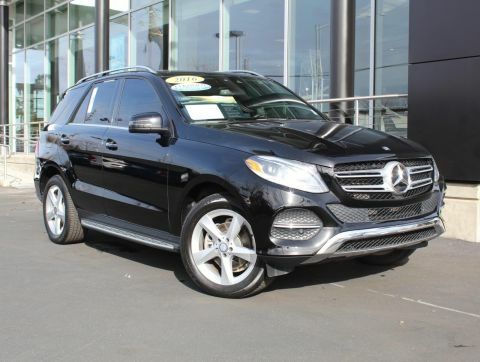 Mercedes-Benz GLE 350 with Palladium Silver Metallic exterior and Crystal Grey/Black interior features a V6 Cylinder Engine with 302 HP at 6500 RPM*. Serviced here, Non-Smoker vehicle, Originally bought here. 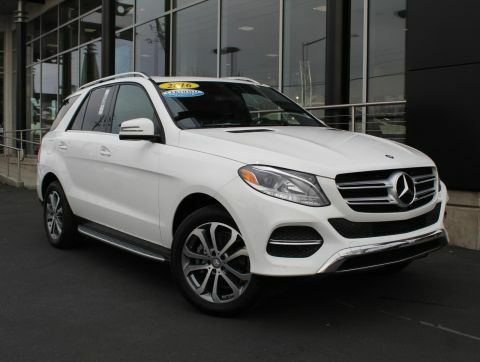 Regardless of what's under the hood, we found all models of the GLE comfortable and easy to drive, whether on a high-speed trip or a jaunt to the market. -KBB.com. Reduced from $41,991. 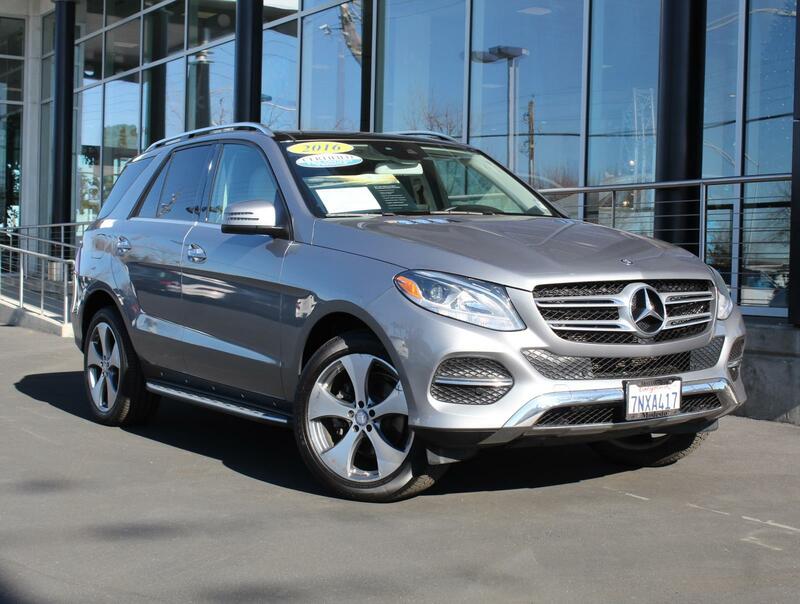 This GLE 350 is priced $1,600 below Kelley Blue Book.